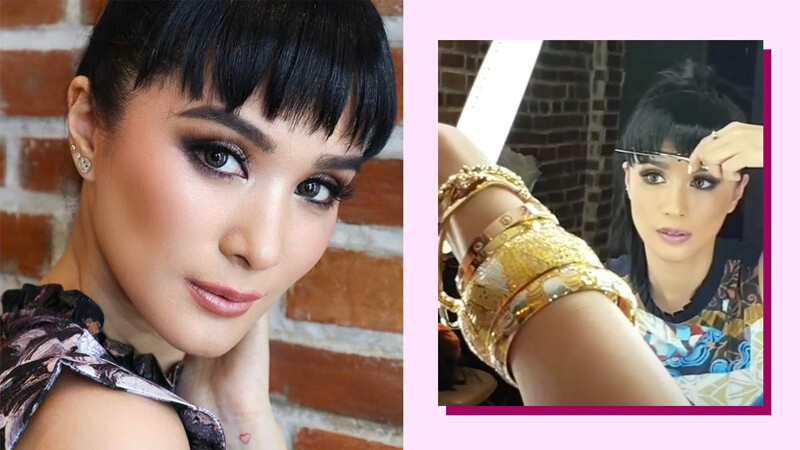 We Are Living For Heart Evangelista's Micro Bangs! Here's proof that she looks good in ANY hairstyle. The reason for her Audrey Hepbrun-inspired look? She was at a shoot for her new clothing collaboration with local clothing brand Kamiseta called Kamiseta x Love Marie! And in one IG story, she can be seen further cutting the fringe, with a hilarious caption: "Natatakot ka ba @aguilarjeck?"